All hypnosis is self hypnosis, in other words a therapist will give you instructions to imagine things in a certain way and it is up to you to follow those instructions. It is an altered state of consciousness into which you allow yourself to enter, with the guidance of a therapist. You are in control all the time, you always know what is happening, and you can come out of the altered state at any time in the same way one can snap out of a vivid daydream. The hypnotic state can feel as if you are dreaming or daydreaming and is a natural form of consciousness which many people experience on a daily basis. For example if you have ever been so absorbed in a book or a film it has felt as if you are actually there, that is a form of hypnosis, as is the experience some people have when waking in the morning being aware of everything going on around them yet still being in a very relaxed dream like state. Within the hypnotic state one can by-pass the barriers to our inner thoughts and feelings, and suggestions are acted upon much more powerfully than is possible in a normal state of mind. Mental imagery can also be utilised to assist people to make changes in their lives. The subconscious mind does not distinguish between ‘real’ and ‘imagined’ experiences, which is why dreams can feel real. This phenomenon can be used so that clients can create new positive realities for themselves or alter their perception of past events which may affect current behaviour. There is also a growing body of scientific knowledge, psychoneuroimmunology, which is showing that the mind is directly linked to our immune systems, which means that techniques used in hypnotherapy can also affect our physical as well as psychological and spiritual well-being. control in public where panic attacks are present. The reduction of food intake to point of there being substantial weight loss below the normal level for that height age/gender. NB appetite for food may well remain. (Note that Anorexia Nervosa is described as an eating disorder characterised by a misperception of body image. Individuals with anorexia nervosa often believe they are overweight even when they are grossly underweight). An unpleasant emotional state consisting of psychological and physiological responses to anticipation of unreal or imagined future danger. An inflammatory condition that affects joints. Assertiveness training is a form of therapy in which a client learns to feel free to make legitimate demands and refusals in situations which previously elicited inappropriate responses. A disease process that is characterised by paradoxical narrowing of the bronchi (lung passageways) making breathing difficult. Symptoms include wheezing, difficulty breathing (particularly exhaling air) and tightness in the chest. Factors which can exacerbate asthma include rapid changes in temperature or humidity, allergies, upper respiratory infections, exercise, stress or smoke. The involuntary passage of urine at night-time in children. Most bed-wetting stops by the age of three and is twice as common in boys as in girls. Causes have been attributed to delay in bladder muscle development, adjustment disorder (parents too controlling or aggressive), too early (and too coercive) to toilet training, diabetes and spinal cord lesions (rare). A urinary tract infection should be excluded by a GP in the cases of a sudden onset of bed-wetting. Conventional treatment includes behaviour modification (rewarding good behaviour), supportive and helpful attitude by parents, limiting fluids at bedtime and alarm devices (a sleep pad that sets off an alarm when it gets wet). Vasopressin nasal spray has been used successfully to treat this condition in some children. Unconscious and /or compulsive grinding or clenching of the teeth especially at night. An eating disorder which is characterised by self-induced vomiting, laxative use or over exercise after eating. The behaviour of performing an act persistently and repetitively without it leading to reward or pleasure. The act is usually a small, circumscribed behaviour, almost ritualistic, yet not pathologically disturbing. Examples of compulsive behaviour include twirling of hair, checking something constantly, not wanting pennies in change, straightening tilted pictures, hand washing etc. Hypnotherapy and / or NLP can be beneficial in overcoming writers or artists blocks, along with other situations where creativity is useful, such as for problem solving or creating designs. Dentist-phobia leads to dental problems associated with lack of dental hygiene and dental maintenance. The phobia should be addressed before the dental situation becomes unpleasant. A mental state of depressed mood characterised by feelings of sadness, despair and discouragement. Depression ranges from normal feelings of the blues through dysthymia to major depression. It in many ways resembles the grief and mourning that follow bereavement; there are often feelings of low self-esteem, guilt and self-reproach, withdrawal from interpersonal contact and somatic symptoms such as eating and sleep disturbances. A pruritic papulovesicular dermatitis occurring as a reaction to many endogenous (internal) and exogenous (external) agents. It is characterised in the acute stage by erythema, oedema associated with a serous exudate between the cells of the epidermis (spongiosis) and an inflammatory infiltrate in the dermis, oozing and vesiculation and crusting and scaling and in the more chronic stages by lichenification or thickening or both, signs of excoriations and hyperpigmentation or hypopigmentation or both. Atopic dermatitis is the most common type of dermatitis. Once an organic cause has been ruled out, Eczema – as with most skin conditions – responds very well to hypnotherapy combined with appropriate topical medications. Many emotional difficulties can be relieved by hypnotherapy either by enabling us to cope better emotions, or by finding better, more appropriate emotions to replace those that are causing issues. Hypnotherapy is excellent for those who suffer with performance anxiety before examinations or tests such as driving tests. Many people only seek help for flying phobia when they are have the prospect of a flight ahead, and they can’t avoid it. Hypnotherapy can help in the short term as an immediate measure, to enable the person to take the flight, or in the long term, to dissolve the phobia completely. Headaches come in many forms, and those related to anxiety and stress are particularly amenable to hypnotherapeutic intervention. Note that headaches can be a symptom of organic disease so it is very important to have a GP check and diagnosis before seeking hypnotherapeutic treatment. A functional bowel disorder characterised by recurrent abdominal cramp pain and diarrhoea and / or constipation. Invasive gastrointestinal surgey is often unrevealing because the tissues involved often appear to be totally normal. Many hold the view that IBS is primarily anxiety based which may explain why it is known to respond exceptionally well to hypnotherapy. Impotence is the inability to achieve or sustain a penile erection, however there are many sexual conditions that can be relieved by hypnotherapy, and the umbrella term for them is psychogenic infertility. NB: that this refers to the fact that there is no organic origin behind the complaints. Any new sexual problem should always be investigated by your GP initially to rule out the possibility of an organic cause. In business, or in one’s social life, the ability to interact easily and efficiently with others is a boon. Self-confidence issues can prevent this, and hypnotherapy can help individuals to find their inner-confidence and overcome their fears of interpersonal interaction. For those who feel they get unduly nervous before an interview, hypnotherapy can be used to bring out the confidence and strengths that are often present in other situations and use them to overcome excessive fear. This is another performance anxiety. The ability to concentrate depends on the ability to focus on one thing and ignore distractions. An inability to concentrate is often symtomatic of stress and anxiety. By addressing the underlying causes, individuals can discover the ability to focus their minds. This has the added advantage of greater retention and more efficient learning. Everyone goes through periods of time or situations where they lack confidence, but when it is sustained then hypnotherapy can help to bring it back in a positive way. Low self-esteem can be the result of a lifetime of events or from a single traumatic event or period of time. Either way, it can be very debilitating. Hypnotherapy can enable us to rediscover our self-respect. This is a common form of habitual self body manipulation which is oten an expression of tension and / or a habit left-over from childhood. Nail biting can often be successfully treated in just one session. In most cases peaceful sleep can be easily achieved through hypnotherapeutic intervention. Whether for weight control or to stop binging, hypnotherapy is widely accepted as an excellent therapy to help normalise diet and to start to eat healthily. Hypnosis has been used for pain control, including surgery, for well over 100 years. It is excellent for the pain associated with arthritis, phantom limb pain and for anaesthesia in many predictably painful situations such as dental work. Symptoms of a panic attack usually begin abruptly and include chest sensations, rapid heart rate, shortness of breath, dizziness, tingling and health anxiety. The most important symptom is hyper ventilation ie breathing too rapidly. Hypnotherapy can help to nmormalise the breathing cycle, reduce anxiety and can provide in the moment tools to stop a panic attack from escalating. Simply knowing that you will be able to handle an attack when it happens, can itself greatly reduce the impact of an episode of over breathing ie a panic attack. Many people experience anxiety before they have to ‘perform’, eg on a stage, a sports field, in front of an audience, or even in bed. Hypnotherapy is very effective at collapsing the conditioned responses that are fundamental to all forms of performance anxiety. It is natural to become a little nervous before any substantial surgery, but when this leads to harmful avoidance then hypnotherapy can help to neutralise the inappropriate part of the anxiety. After an operation when we remain relaxed recovery can be more rapid, scarring / bruising can be reduced, and pain / discomfort can be reduced. Typically self-hypnosis is taught to help ensure ongoing post-operative relaxation. As is the case with most skin conditions, if there is no organic cause, then stress or anxiety is probably going to be part of the problem. Hypnotherapy can produce rapid, relief from symptoms by reducing underlying levels of stress and anxiety. Hypnotherapy effectively deals with the stress and anxiety issues that are often the cause of many sleepless nights. Hypnotherapy can also help with some of the behavioural issues that can complicate matters eg over consumption of alcohol. Smoking cessation is probably the best known use of hypnotherapy. It is effective, there are no negative side-effects, there can be many positive side effects and it can be typically achieved in just one session of hypnotherapy. All that is required from the smoker is the motivation to become and return to being a non-smoker. A GP diagnosis is required to rule out organic disease. After that if eg sleeping on one side helps then hypnotherapy can be used to change sleeping positions as soon as the person starts to snore. If the casue is behavioural eg alcohol or smoking or weight related then again hypnotherapy can help. Snoring is often a problem for the snorers partner and hypnotherapy can help the partner to filter out the sound and /or take appropriate action. These include stammering, stuttering and mumbling for which there is no organic cause. Hypnotherapy can help to reduce anxiety, boost self esteem and normalise speech patterns – often in conjunction with exercises provided by a speech therapist. Spasmodic muscular contractions commonly involving the face, mouth, eyes, head, neck or shoulder muscles. The movement often appears purposeful but is involuntary. Tics are often made worse by stress and anxiety which can be easily relieved by the use of hypnotherapy. After smoking cessation weight control is probably the next most well known use for clinical hypnotherapy. 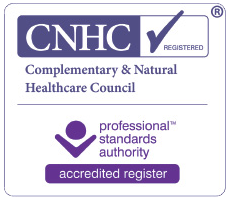 A GP check is required to ensure that an organic cause is not present. Therafter hypnotherapy can help with motivation, self-esteem, ongoing behavioural control as well as stress and anxiety management. Hypnotherapy can also help with behavioural and lifestyle changes that are often necessary eg healthy eating / healthy buying and exercise.